Riichi Kitano Sensei, Mokuroku/Shidosha, has been practicing Tenshin Shoden Katori Shinto Ryu for 10 years. His primary teacher and mentor is Otake Nobutoshi Shihan of the Narita Honbu (Head) Dojo. Kitano Sensei has earned the appointment of Shidosha and as such is licensed to teach this martial arts practice outside the head Dojo in Japan. Kitano Sensei also manages and directs a Dojo in the Japanese Cultural Center at Pacoima near Los Angeles, where he teaches Karate, Judo, Aikido, Kapo (Energy Healing) and Samurai manner. 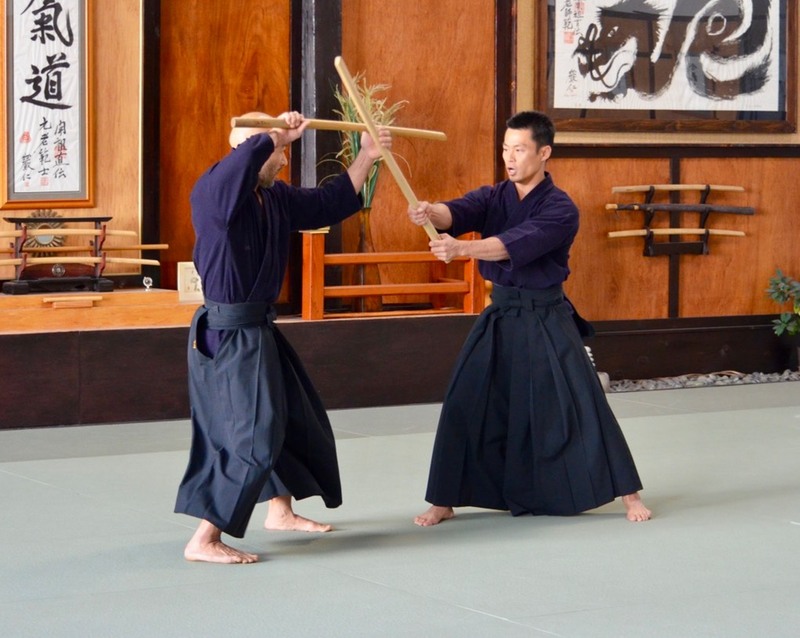 Our Assistant Instructor is Masashi Odate, Mokuroku, who has been a student of Kitano Sensei since 2007. Both of our instructors acknowledge a debt of studentship to Mitsugi Saotome Shihan, Founder and Head Instructor of Aikido Schools of Ueshiba.